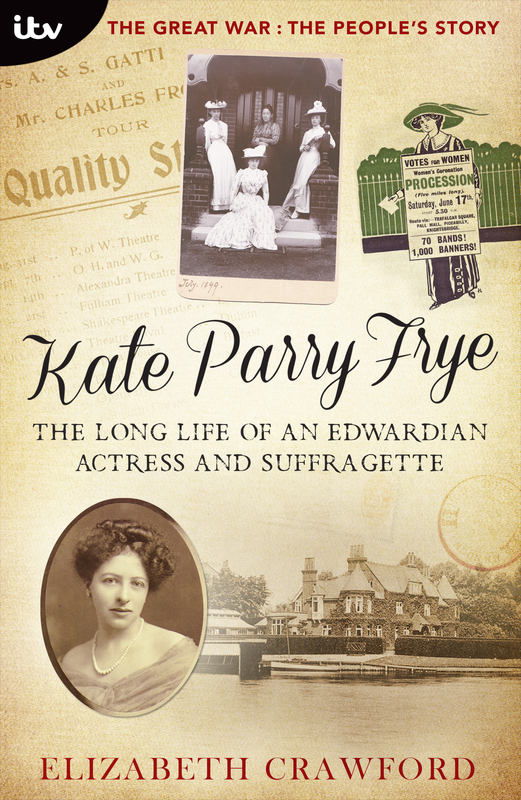 I dedicated Kate Parry Frye: the long life of an Edwardian actress and suffragette to all those women who, in the words of George Eliot, have ‘lived faithfully a hidden life, and rest in unvisited tombs’. Since then I’ve done a little to ensure that Kate’s life is no longer hidden and (with Helen Nicholson, Berghers Hill resident and Royal Holloway professor of theatre) that her tomb need not be unvisited – I stood by it myself at the beginning of the year. However there are others who feature prominently in her story whose tombs are most definitely unvisited. Finding myself this week in Ditchling, Sussex, where I knew Abbie Frye, Kate’s cousin and dearest friend, had been buried, I thought, by finding her grave, I’d do something to remark her existence. However, when we arrived at Ditchling Church – dedicated to St Margaret of Antioch – and I saw the large, well-tended graveyard I did doubt that we’d have any chance of stumbling across Abbie’s grave. But, as luck would have it, after enjoying the calm interior of the church and the scent of lilies, on the way out I spotted on the ‘literature’ table a typed list of ‘Monumental Inscriptions in St Margaret’s Churchyard’. What a find. 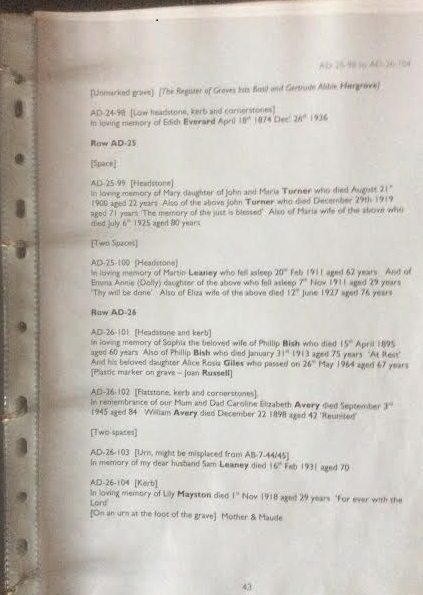 My most grateful thanks to the Ditchling History Project – for there, in the index appears Abbie’s married name – ‘Hargrave’. As you see, Abbie – and her husband, Basil – lie in an unmarked grave. Without the reference to its position in this guide (see also its website here) there would be no possibility of identifying it. 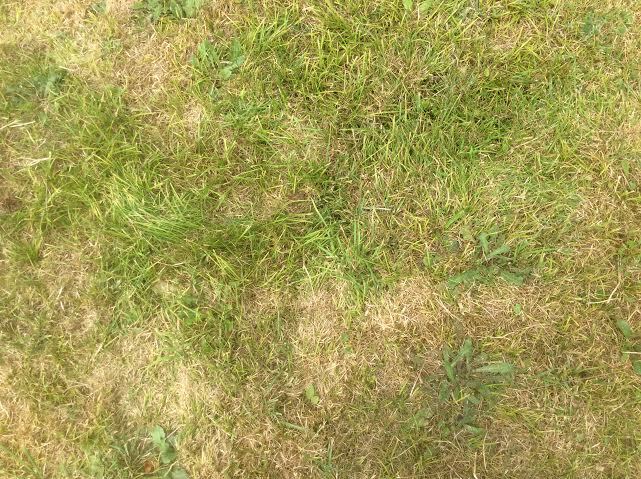 As it is, you’ll doubtless be thrilled to know that I can show you the very patch of springy turf under which they lie. But who was Abbie Frye/Hargrave? Although she has left a considerable body of published work, unlike Kate she left no diary- but through Kate’s words we can glimpse something of her world and her life. At the Fryes’ home, The Plat at Bourne End. Abbie is standing on the left. Kate sits at her feet. She was born Gertrude A. Frye c 1871 in Calcutta, the daughter of Charles Frye, a brother of Kate Frye’s grandfather. Abbie’ s mother, Marguerite Maria Frye, had died by 1881 for in that year’s census Charles Frye is described as a widower – and a professor of music (I think he taught at King’s College, London). His address was 4 Buckingham Road, Tottenham, but his daughters, Abbie (aged 10) and Maggie (8), were by now in the care of his sister, Caroline, and her husband, Basil Hargrave, and living at 3 Havilland Terrace, Defoe Road, Tooting. The latter, born in 1849, had married Caroline Frye in 1873 and was a clerk in an insurance office. Charles Frye died in 1886, orphaning Abbie and Maggie who by 1891 were still living with the Hargraves – now at 20 Castlewood Road, Stamford Hill, close to Caroline’s mother. In the 1890s Abbie was working as a daily governess but at the same time was beginning her career as a writer of magazine stories, publishing them under her own name. One of the journals in which her stories appeared was Cycling World. On Monday December 15th 1896 Kate wrote in her diary: ‘I heard this morning that the Cycling World has just accepted another of Abbie’s Stories – I am more delighted than I can say and so is she I know. She got £2 10s for the other which is splendid pay I consider. I hope she will do as well by this.’ That £2 10s was very important for Abbie had no money of her own and her aunt and uncle had little to spare. Mind you this visit came only a couple of months before Caroline Hargrave was diagnosed with cancer and underwent an operation on at Guy’s Hospital – so there might well have been a reason for the miserable atmosphere Kate experienced. The Poet and Penelope was published in May 1902 by T. Fisher Unwin in the UK and by G.P. Putnam’s Sons in the US, Abbie using the pseudonym of ‘L. Parry Truscott’. It must have been a sufficient of a success because, in 1903, 1904 and 1905, Fisher Unwin published three more of her novels. With Basil Hargrave, Kate had been instrumental in launching Abbie’s career and, less than a year later, her second novel, ‘When the Tree Falls’, bore the printed dedication ‘To Kate Parry Dear Cousin and Dearer Friend This Book’. Over the next couple of decades Abbie published a total of thirteen novels but, although in her heyday quite successful, her pseudonym has proved all but impenetrable. A dictionary of pseudonymous writers ascribes ‘L. Parry Truscott’ to some other woman and the Oxford Companion to Edwardian Fiction mis-states her dates and merely notes that ‘little is known about this writer’. It is only through reading Kate’s diary that her identity and the pattern of her life has been revealed. Caroline Hargrave died in 1904 and in May 1905 there was a new development. Kate ‘broke the news first to Mother then to Agnes about Abbie. Mother wasn’t a bit surprised but Agnes was astounded. If I am disappointed it is no use showing it – it is for the general happiness to make the best of it and as I only wish for the best for Abbie I will honestly do any little thing I can to bring about the best.’ ‘The news’ was that the man who, echoing Abbie, Kate always referred to as ‘Uncle’, wished to make his niece his wife. The answer was Brussels, where the wedding between Abbie Frye and Basil Hargrave took place on 2 August 1905. But before then Kate took Abbie shopping for her trousseau, lending her £16 to pay for indulgences, such as new underwear, that were the right of any bride. The cousins thoroughly enjoyed their scamper through the West End and Westbourne Grove shops and Abbie duly repaid the money out of her earnings from her next novel, “Motherhood”. 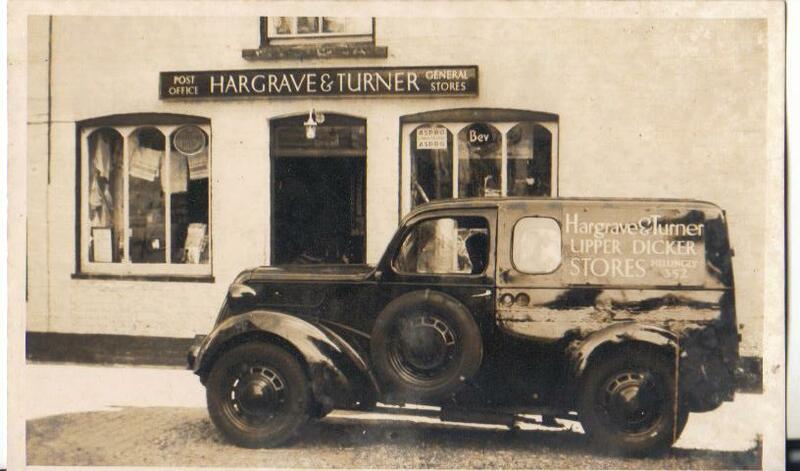 By 1909 the Hargraves had moved from the dreary Sutton house to the very much more agreeable village of Ditchling. In this pretty village, nestling in the South Downs, Abbie, as a novelist, was in her element amongst the bohemian artists and craftsmen who had begun to make it their home. 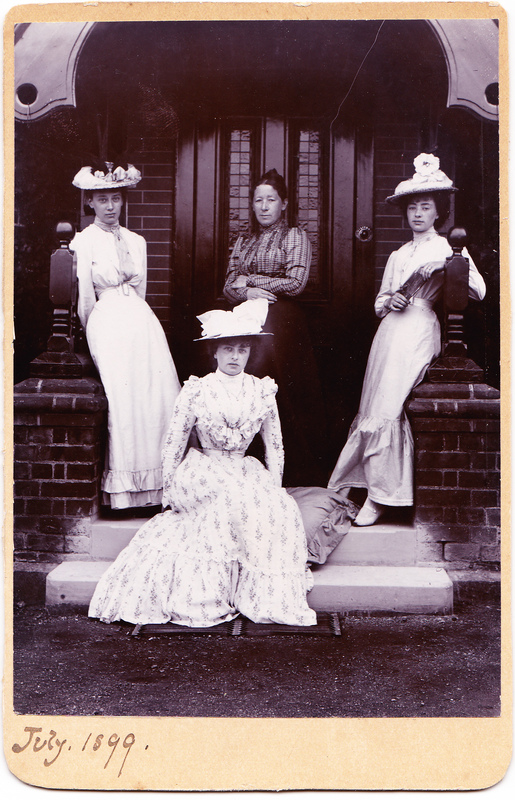 Their first home in the village was Chichester House in the High Street, where in 1910 Kate paid them a visit and in their drawing room listened to a talk by Eric Gill on ‘Arts and Crafts in the Home’. You can read my post about this visit here. In August 1911 Abbie had a son, Basil Truscott Hargrave. When, in the autumn, Kate paid another visit to Chichester House she wrote ‘This is a most exciting visit, it seems so wonderful to see Abbie with her Babe – and Basil as a Papa for the first time at his age.’ Abbie was now 40 years old and Basil 62. 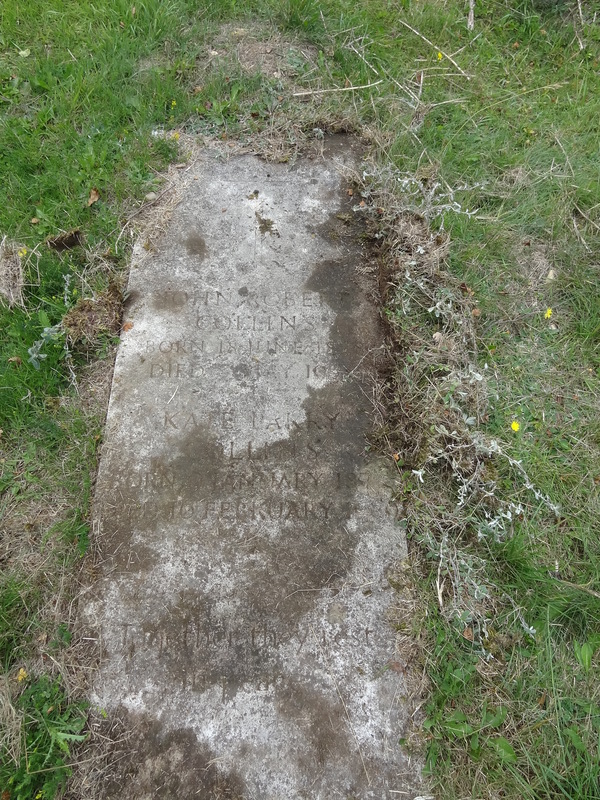 Basil Hargrave’s was the first coffin in that grave under the churchyard turf. He died in 1919, leaving very little money. Abbie was faced with the prospect of keeping herself and raising her son, now barely eight years old, on the proceeds of her writing. Sales of her novels were now negligible and it was difficult to interest publishers in new work. In the 1920s she managed to place two novels, one under the pseudonym ‘Anna Hurst’ and another under her own name – ‘Abbie Hargrave’. 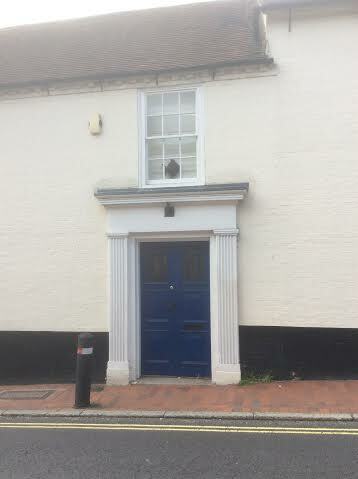 Abbie and Truscott continued to live in Ditchling, latterly in ‘Oldways Cottage’. It was on 16 November 1936 that Kate received a letter from Truscott telling her of Abbie’s death on the 14th. The next day Kate wrote of ‘a dreadful feeling of sorrow and blankness. If my sense of loss is wide and deep what must Truscott’s be – and what of his future. But one feels it could not have gone on – that mounting load of debt and Abbie’s ill health. But my life-long friend – and such a loving one – I shall miss that affectionate interest so very much.’ Kate ‘bought a black hat and some grey stockings’ and on 19 November travelled by train and bus to Abbie’s burial, alongside her husband, in Ditchling churchyard. Dr Habberton Lulham, a Ditchling medical practitioner and photographer (you can read more about him here) was the only Ditchling resident present at the funeral whom Kate remarks. She had met him on her previous visits and there may have been others there whom she did not know and so doesn’t mention. The following day Kate ‘sent a cheque for £5 to Truscott to begin to pay his mother’s funeral expenses’. However, this gift clearly did not cover the cost of a headstone. Download the e-book from iTunes – : http://bit.ly/PSeBKPFITVal or from Amazon. This entry was posted on August 10, 2015, 9:05 am and is filed under Kate Frye's Diary. You can follow any responses to this entry through RSS 2.0. You can leave a response, or trackback from your own site.